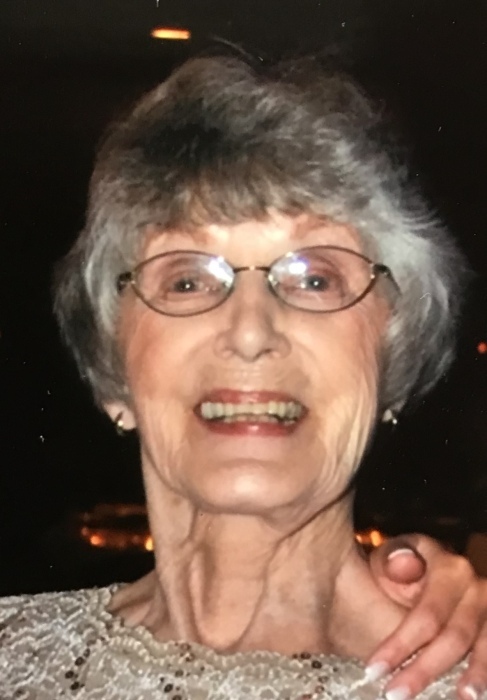 Youngstown - Nancy V. Kearns, 88 of Youngstown, Ohio, died Monday evening January 28, 2019 at her home. Nancy was born January 6, 1931 in Youngstown, Ohio, a daughter of William and Virginia (St. Clair) McKinney and had been a lifelong area resident. She was a graduate Chaney High School and had worked as a blueprint copier for U.S. Steel where she had met her husband. She was a member of Mahoning United Methodist Church in Youngstown where she had taught Sunday School and was involved with Vacation Bible School. Together with her husband , they were involved with the Mahoning Youth Fellowship. Nancy had devoted her life to caring for her husband and children. Her loving husband, James E. Kearns, died in 2008. She leaves her son, James L.(Holly) Kearns of Youngstown; her daughter, Kim Kearns of Bay Village, Ohio; three grandchildren, James M. (Heather) Kearns, of Houston , Texas, Jessica Lynn (Jeffrey) Vicarel of Youngstown, and Liam Tolland of Bay Village. She also leaves two great-grandchildren, Skylar and Jimmy Kearns, a nephew Chuck Summers and two nieces, Ginny Infante Prus and Nancy Schulz. Besides her parents and her husband, she was preceded in death by her sister, Pat Summers and her husband, Chuck. Services will be held at 6:00 pm Thursday January 31, 2019 at the Davis-Becker Funeral Home in Boardman. Friends may call prior to the services from 4-5:45 pm at the funeral home. The family would like to express their thanks for the loving care provided by St. Elizabeth Hospital, Austinwoods Rehabilitation, Home Instead and Hospice of the Valley.